What are you going to be using your garden hose for? That seems like a simple question, but it’s an important one as you look at your upcoming purchase of said garden hose. You need to consider how long you need the hose to be as well as if it will just be used to deliver water from one place to another or if it will instead function with some form of attachment. You will also need to consider if you want the hose to be in place on a permanent or semi permanent basis or if it will be recoiled after each use. These considerations will change how you consider your purchase. How many different kinds of hoses are there? Garden hoses are designed and produced to provide service for a variety of functions and as a result there are a wide variety of hoses. Some have thicker walls to provide longer life and others have thinner walls to make it easier to roll them up and put them away. Some hoses come perforated so you can use them as a sprinkler system and others will roll up flat when there is no water pressure. If you have a specialized need, there is probably already a hose out there for you. Now you just need to figure out what you are looking for your hose to do for you. You want your garden hose to have a long life, but you also want to consider the ease of rolling and transporting when you purchase a hose. If you hose is in a high traffic area, and will be stepped on and rolled over, you will want a garden hose with a thicker wall. This will protect your investment and provide you with a reliable garden hose for many years, but if you are going to keep the hose rolled up on a consistent basis, then a thicker wall will be more of a hindrance. Not only will it add to the weight of the hose, but it will also make it harder to roll up the hose. Look at the special features of the hose and how they may benefit you. Are you looking to set up your hose with a sprinkler that you can move around your yard? There are some hoses that can serve as a sprinkler on their own without an attachment. Just lay them out on your yard, and you will see the process taken care of without any extra work on your part. Perhaps you need your hose to be small and compact for easy storage between uses. If you are just using your hose to provide water to various locations, you can also find special attachments for that as well. 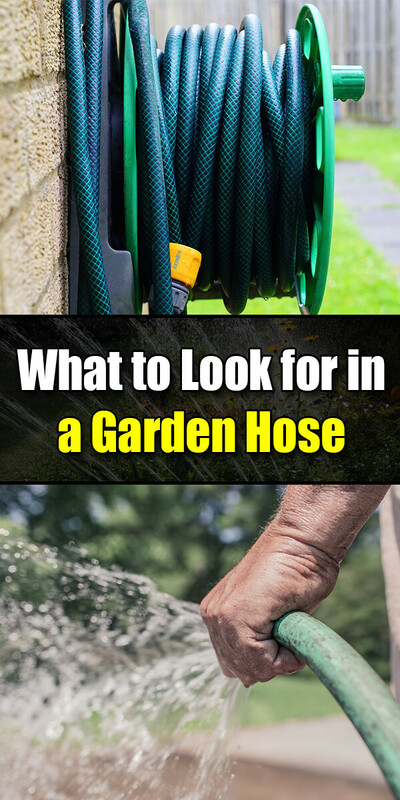 Go find your perfect garden hose. Now that you have an idea of the variety of hoses you there, take some time and go to your local stores and look at the options you have in your area to learn more, or if you prefer shopping online you could check out Steve & Leif Gardening Tools – they’ve got a wide array of garden hoses as well as all other sorts of gardening tools!